REPOST: Blizzard announced a date for the end of the current PVP Season, which means the pre-expansion patch isn't too far away! Here are some reminders on what will be changing, updated, and what's new in the upcoming pre-expansion content patch. Are you prepared for Legion? 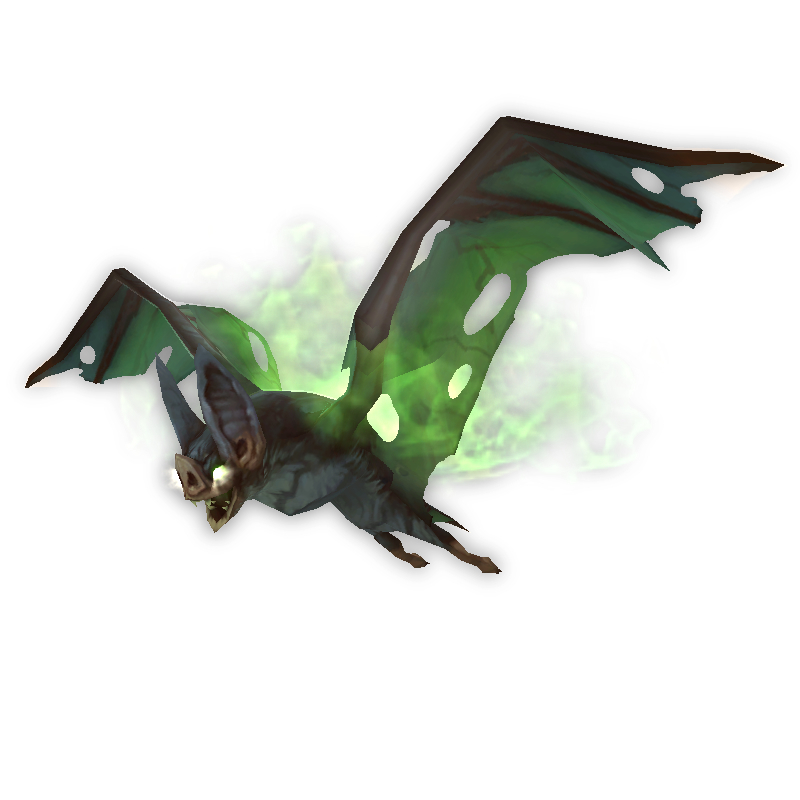 UPDATE: The price for the Felbat Pup was lowered to 150 Nethershards in a recent PTR patch. The number of Nethershards earned per invasion scenario was also lowered. Collectors and battlers will want to keep in mind a few notable Pet Battle updates plus a new addition as the pre-expansion patch draws nearer. A number of changes and updates to Pet Battle content will be released along with the pre-expansion patch. Note that the following is not set in stone and may be subject to change prior to release. Using abilities and spells after using the Magic Pet Mirror no longer cancels the costume (example pictured right). Entering combat will still remove the transformation. Pet Charm rewards from Draenor dailies will be reduced (roughly cut in half). The Brawler's Guild will be going on hiatus for an undisclosed amount of time, making Clock'em unavailable until it re-opens in the future. Many pet tuning updates will be released, including but not limited to changes to Howl, Pandaren Water Spirit, Graves, Cleave, Thunderbolt, and more. For the full list of changes, check out the official thread for upcoming pet tuning changes. The WoD Digital Deluxe Special Bundle will officially retire. Collectors will need to seek out physical copies of the WoD Collector's Edition to collect the mount and Dread Hatchling pet once the sale has ended. A number of battle pets will be receiving model updates! These include but are not limited to: rabbits, rats/mice, squirrels, sheep (pictured right), and raven/crow. 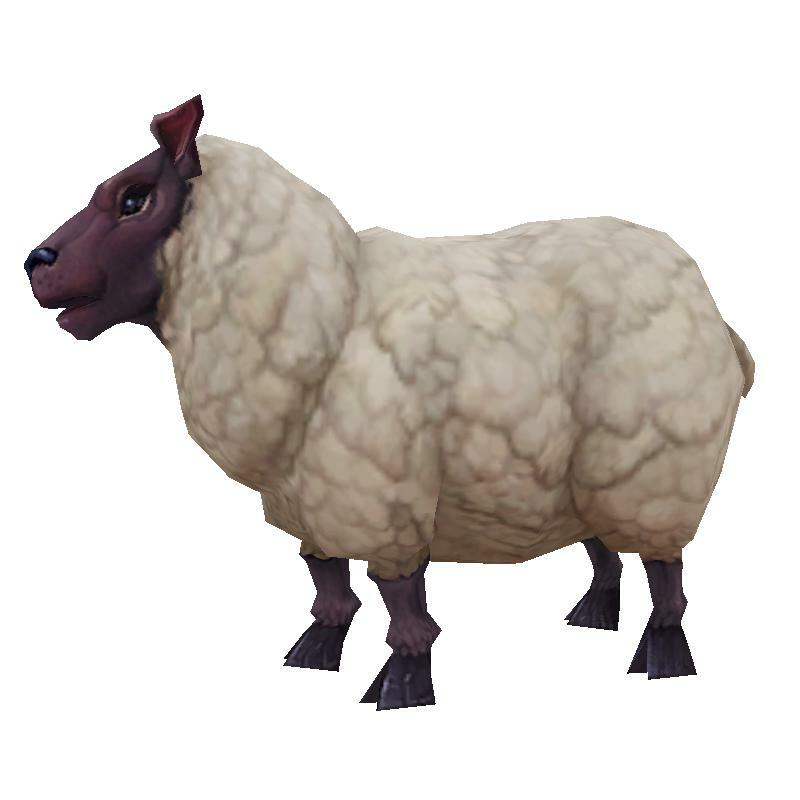 Say farewell to the polygonal shapes of these existing pets — come the pre-expansion patch they'll be much fluffier! The Legion Pre-Patch isn't without its goodies; a new pet will be available during the pre-expansion Demon Invasion World Event. Complete open world scenarios and collect Nethershards to spend at special vendors located in Stormwind/Orgrimmar and near the invasion points. The new pet, Felbat Pup (pictured right), will cost 1800 Nethershards. Each invasion will reward 260 shards, so collecting this pet will require the completion of roughly seven invasions. It's unclear if this pet will be exclusive to the Demon Invasion World Event, or if it will remain available once the event has ended, similar to the Bronze Whelpling. Currently the Deathwatch Hatchling is still listed in the Pet Journal as a guild vendor pet, and can also be found under the guild rewards tab on the PTR. It's unknown if this will change prior to the Legion Pre-Patch's release. We'll have to wait and see if the Deathwatch Hatchling will be joining the Thundering Serpent Hatchling (MoP Guild Gold Challenge Mode pet) on the Black Market Auction House in Legion. 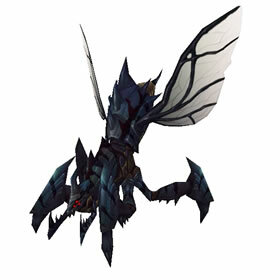 With the fate of the Deathwatch Hatchling up in the air, collectors may want to add this pet to their collection sooner rather than later. There's still some time before the Legion Pre-Patch and expansion release, so collect away! Is there somewhere all the updated models are listed? I knew about the rabbits , squirrels and rats/mice, but not raven/crow, had not seen that mentioned before. Also remember hearing about sheep. If anyone still needs Deathwatch Hatchling, you are welcome in my guild to come and stay as long as you like. Vitium is primarily a mid-high end raiding guild, but players of all skill levels are welcome. Message anyone for an invite. RIP my frog stun team. *sobs* Stuns are not even a problem if the opponent doesn't start switching like mad (even then, it's still 25% chance of success). They are of course still going to be great against undead teams. Just not as good against elementals as before. And not able to overcome an occasional strong team by being lucky with the kiss. I was able to buy another Felbat Pup today. It was S/B so it looks like it may have only one breed. I am still looking for a EU guild that has Deathwatch Hatchling and is willing to let people in for it. Any EU guild with the achievement willing to invite me into their guild and let me level a character to get the pet? Graves is being nerfed because of pvp. Howl bomb is being nerfed because of pve; it's useful against all but 2-3 of the beasts of fable, all four of the legendary pets in the celestial tournament, several of the garrison dailies and all of the Tanaan Jungle dailies. 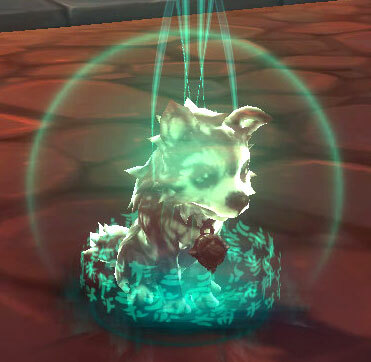 My personal opinion is blizzard should make new pets with new abilities that require new strategies. I am annoyed they are destroying Howlbomb. It is only viable against AI, so it is not a PvP issue. No real reason to change it. I also now feel like I have wasting time on HotS trying to getGraves, as he was nerfed into oblivion and seems like not worth using anymore. In tonight's ptr patch the Felbat Pup was lowered to 150 from 1800 Nethershards. All other vendor items were also lowered a significant amount. You can use any level carry pet, but it does require a specific Bronze Whelpling breed and Spectral Tiger Cub OR Widget the Departed. @OyDaisy: The official WarcraftPets guild (plus sister guild) is on Madoran-US, Horde. The change to cleave is effectivly a nerf to Squirt powerleveling pets, as the best strategy is Sepsis' use of Enchanted Broom and Weebomination, which allows the carry pet to be level 1. All other strategies I've seen require the carry pet to have enough health to survive Tyri's 1-2 uses of Omnislash. Love the changes to the Pet Mirror! I'm so excited for all the new Legion pets and updated models (to bunnies, squirrels, etc)! Is the WarcraftPets guild still accepting new players? If yes, What is the server and is it alliance or hoard? I really wish they would leave the old stuff alone when they come out with new patches/x-pacs. I'm glad I started doing the Draenor pet battle dailes when I did. I hope they don't nerf Graves too badly it's a sweet pet! Anyone got a guild with the Deathwatch Hatchling available for purchase that would let someone roll a character and buy it after some furious leveling? The Felbat Pup is really neat. I managed to buy one earlier today and at 25 it appears to be an S/B breed. I'm not sure if there will be more than one breed similar to the Bronze Whelp and Iron Starlette. At least on the ptr, it can be caged. It has excellent moves and at first glance looks like it could be a strong pet with a darkness weather user.